We all know that the best cross-country teams are in the Interscholastic League of Honolulu, with the private school dominance of the Kamehameha and Iolani boys and Punahou and Iolani girls. But what public schools produce the best cross-country teams? 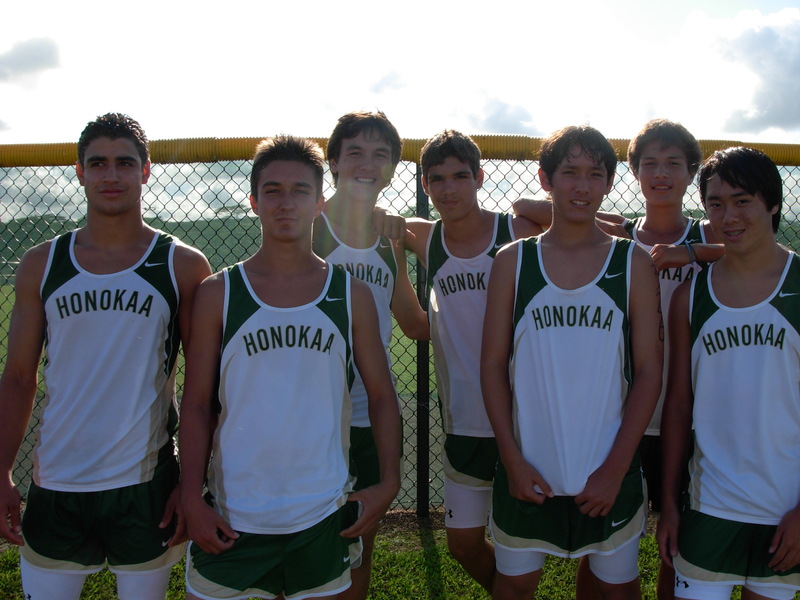 Leileihua boys were dominate in 2008 and are expected to be somewhere in the top 5 this year, along with Honokaa. On the girls side it is Mililani that will challenge Punahou for top team honors come October 31 at Island Schools on Kauai. Any other public schools expected to break into the HHSAA top 5? Mililani Head Coach, Nathan Aragaki, and his staff not only have an awesome harrier program they also have a great website. Check out http://geocities.com/milhsxc/.